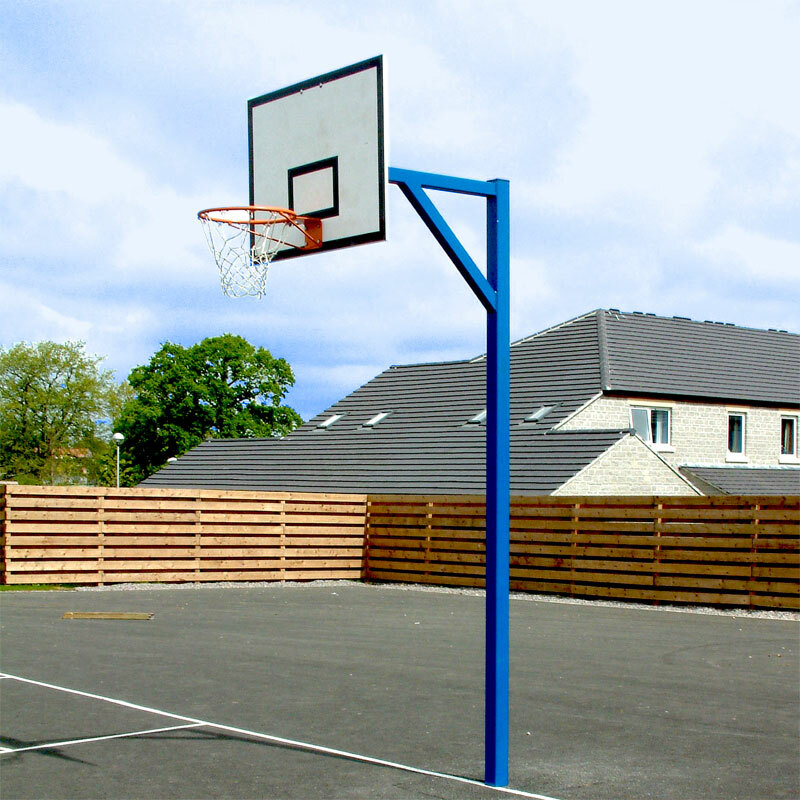 Harrod Sport ® Socketed Basketball Goals with Wooden Practice Backboard are designed specifically for playgrounds and parks. Due to their robust design they can be left in situ all year round. Regulation 3.05m high 100mm square x 4mm thick heavy duty steel uprights. Uprights and rings are zinc phosphated and polyester powder coated blue. Regulation BB4 ring is bolted directly to steel arm for added strength. Complete with wooden practice backboard - 1.22m x 0.9m. Total weight per pair 267kg. Ground sockets require a minimum 1 metre cube of concrete. Mechanical lifting equipment must be used when assembling goals. Lost the instructions for your Harrod Sport Socketed Basketball Goals? Please Click Here to download a new copy.